ALL of Dance Sensation’s classes are based on having fun whilst learning strong performing arts techniques. Each class involves a warm up and stretch to ensure our bodies are ready to dance, corner and centre moves to target technique and strength, a game for the young at heart and a routine that is built on each week to show off what you have learnt! What should you wear to your class? Our Funky Jazz/Hip Hop/Break Dance classes are a combination of Hip Hop Style, Jazz technique and Break Dancing Tricks creating a dancer who can entertain in the latest style whilst still building their strength through technique. Including the latest moves from popular dance crews around the world and music video clips (all age appropriate). 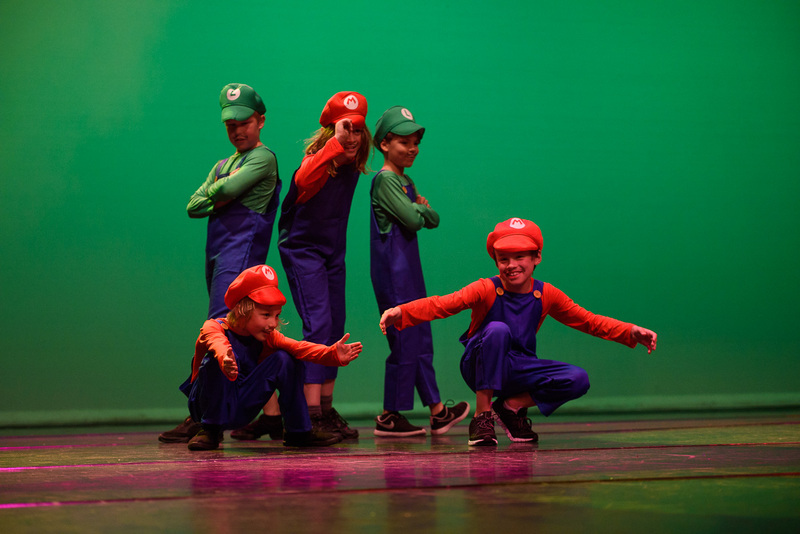 Funky Jazz/Hip Hop/Break Dance is by far our most popular performing arts class. Introducing Acrodance! Learn Gymnastics moves that effortlessly flow into a dance routine. Direct from Canada the ‘Acrobatique Syllabus’ incorporates gymnastics with dance, taught by teachers who are trained to spot students safely as they progress through each level. Safety mats are used to ensure students feel comfortable to try new techniques and master amazing & fun tricks. How cool were these boys in the concert? These classes are for boys who want to learn all the latest hip hop and break dancing moves. Emphasis will be on having fun learning to dance whilst building strength, flexibility and friendships! Experience the delight of seeing your child jump and twirl as they socialise with new friends and begin their dance journey together. Witness their confidence grow as they enjoy learning from trusted and talented teachers who will encourage your little dancer every step of the way. Our 2-5yr old students enjoy learning in a fun and energetic environment. We learn how to isolate and move different parts of the body for dancing, build on our important muscles for this age group, dance with props, and have lots of fun! You can even watch your dance helpers Twirl & Freeze on Nickelodeon! Check out more details here. These classes are for students who want to PERFORM and compete throughout the year. Performance students should be dedicated, hard working, punctual and most of all enthusiastic. All students who have done performance in the past have improved dramatically just by doing this one extra hour a week. ALL students must complete their Dance Achievement Day (Funky Jazz/Hip Hop Level) to be accepted into Performance Class. ” I always find students who attend the performance classes become more focused, dedicated, flexible, stronger, full of confidence and develop a great team spirit. Would you like to try something new? Or revisit your childhood dance moves? This will be the most fun you’ll have whilst exercising every week. Dance Sensation has adult classes for Funky Jazz/Hip Hop/Break Dance, Tap, Stretch & Strengthen (Pilates & Yoga), Contemporary/Lyrical and Ballet. Beginners to advanced welcome, there is a place in our classes for EVERYONE. We have a lot of fun socialising in a relaxed and encouraging environment. Also, there is the option of performing with your group in the end of year concert! Tap is a FUN style of dance which teaches rhythm, speed and coordination. It is great for strengthening the legs and ankles. We will continue with the blend of Elizabeth’s style and the Glenn Wood Tap Syllabus – cruising through the exams this year! I know everyone has wanted those Tap Dogs, Shirley Temple or Fred Astaire shoes at one stage, don’t deprive yourself, come and have some serious fun! Ever wanted to be Annie or Oliver or Maria von Trapp? Ever dreamt of being on X Factor or simply just want to be able to hold a note? Everybody can sing, it’s just a matter of training you voice, just as you would train to learn how to dance! Our Musical Theatre classes consist of Drama and Singing techniques with basic movement also included. There will be a range of singing and acting styles, theatre sports and a never ending list of musicals to play with! Elizabeth has combined her knowledge and skills of Classical Ballet, Modern and Lyrical to construct a dance style which steers away from the stiff structure of ballet and more towards flowing movement, whilst still emphasizing a strong ballet technique. It’s ballet with an edge! 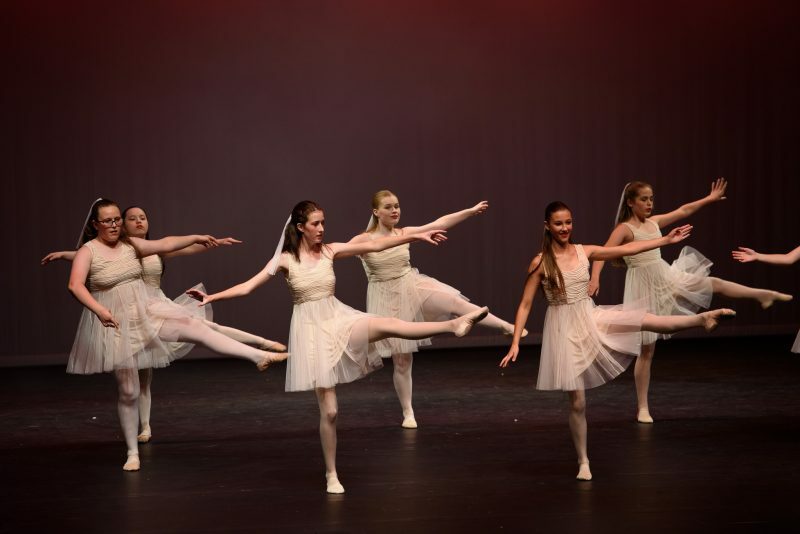 All Ballet classes consist of a classical barre, centre and corner work with routines that often have a lyrical influence. Lyrical is a style of dance created from the fusion of ballet, jazz and modern. Lyrical movement is inspired by the lyrics of a song to express strong emotions. Contemporary is it’s cousin using unpredictable changes in rhythm, speed, and direction. A dominant genre for formally trained dancers throughout the world. Pointe shoe training for able Ballet students who have been assessed by their teacher. 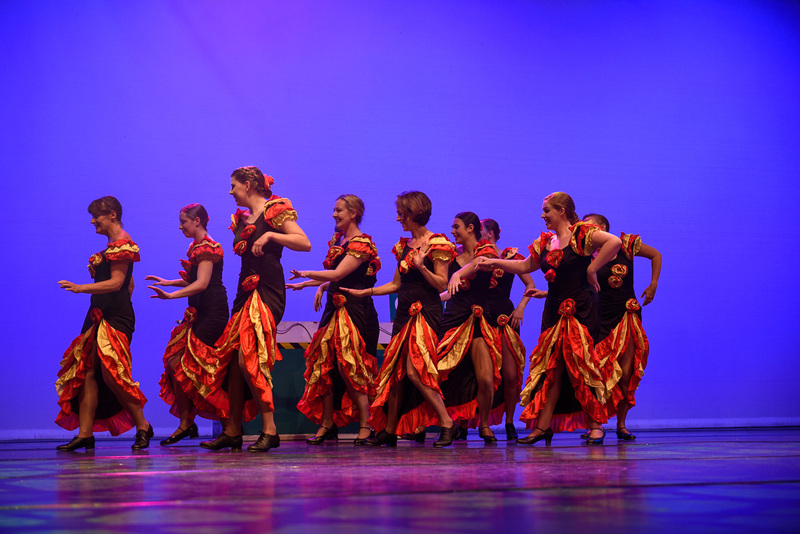 Private lessons are available in all of the styles of performing arts at Dance Sensation. The benefits of one on one tuition are endless, students can improve on technique, performance, flexibility, strength, their class dance routine, posture, singing and the list goes on. All students doing solo’s, duo’s or trio’s in the eisteddfods must book private lessons. Trophy/Scholarship Awards cannot be used for Private Lessons. 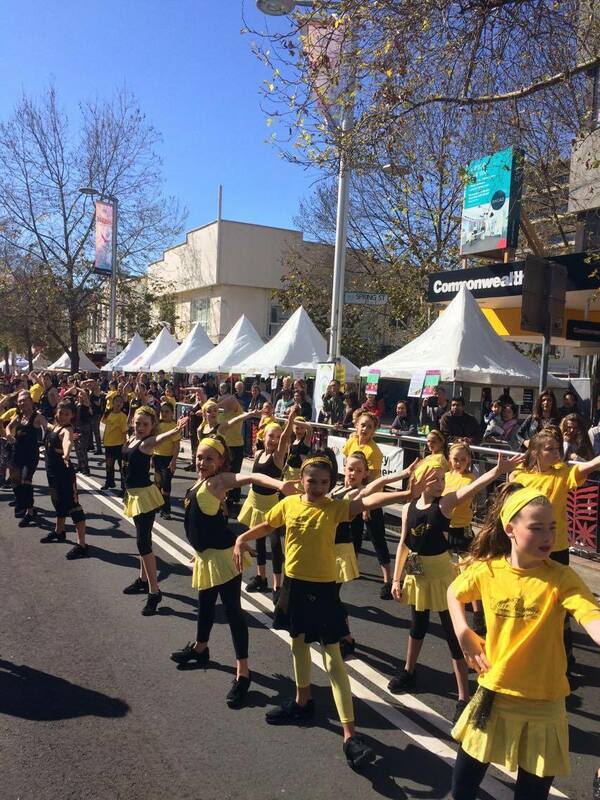 Dance Sensation Timetables are available under the ‘Enrolment & Timetables’ tab.